Peter Ustinov; An unlikely and entertaining petrolhead (audio). Sainte-Agnès is a pretty spot. High in the mountains of the Alpes-Maritimes in France, looking down on the Med some distance below, the views are beautiful. And yet, because we are MotorPunks, we were drawn to this peculiar van parked on the edge of town. This isn’t some retro meet we attended, or home-built silliness on someone’s driveway, it belongs to a Frenchman who was probably sat necking Pastis in a nearby bar, ignoring his phone. 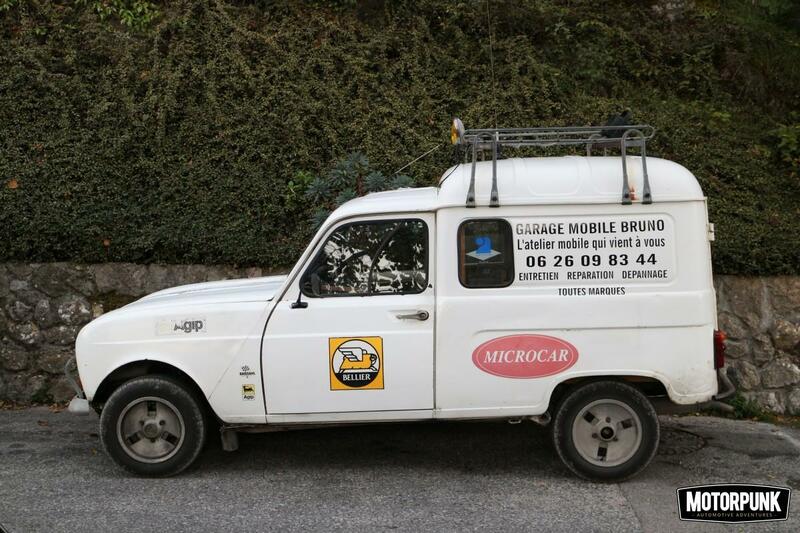 I’m guessing his name is Bruno and he fixes Microcars and other French cack. 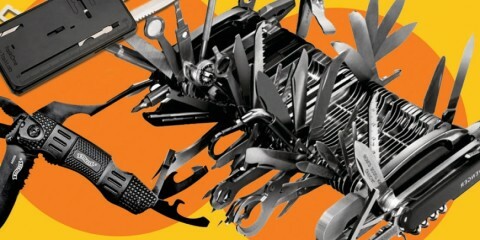 He will have no idea how bloody cool his workhorse is to us. 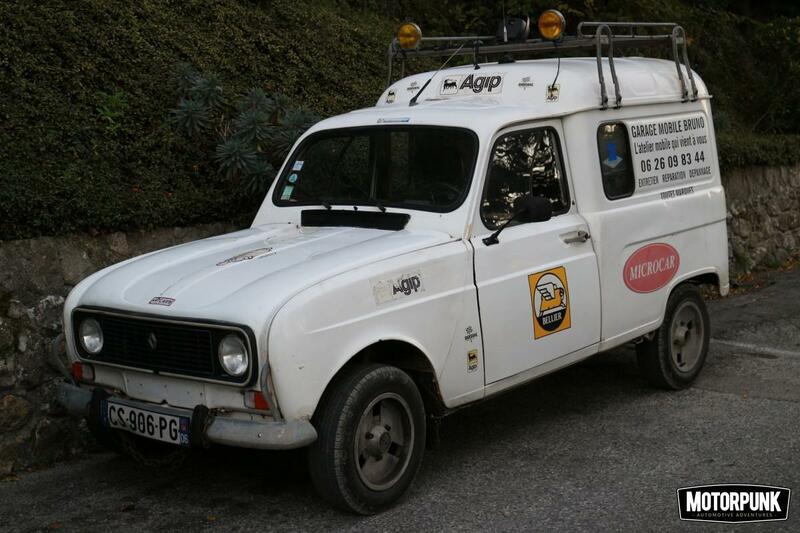 The Renault 4 was built from 1961 to 1994 in places as diverse as Ireland, Algeria and Uruguay. When launched it had just 3 forward gears and no synchromesh in higher gears. The biggest engine installed was a 1.1 litre thing, and it weighed no more than 750Kg. The windows are slidey-back, not windy-up. 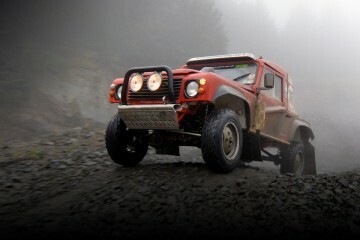 The wheelbase is longer one side than the other, due to the cheapskate torsion bar suspension design at the rear. So this is a car built deliberately wonky, very cheaply and we were most surprised to see this one in service, as a van, up an alp. The details make it; Yellow lamps, a tow chain at the front (this thing could scarcely pull an empty packet of Gitanes) and faded stickerage. And then those Gordini wheels on winter tyres. So with just two pics, this Renault joins MotorPunks virtual ‘car club 18-30‘ for cool, quick or quirky machinery, designed or in production in the last 18-30 years. 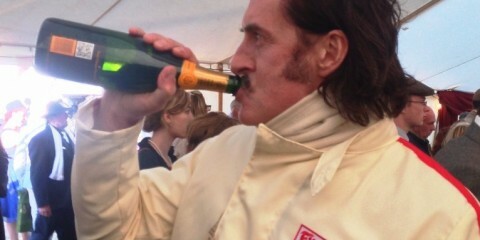 And I’ll bet the homme van blanc doesn’t have a clue how cool his R4 van is. What’s cooking? 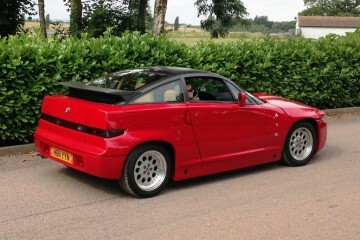 The Alfa Romeo SZ. Croatian cool! 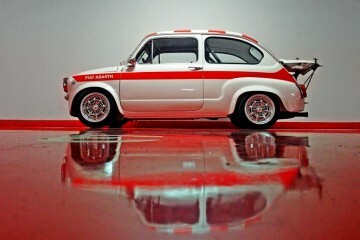 Zastava based Abarth 850 replica.